Developed by MolSoft in Collaboration with Medicinal Chemists at Novartis. 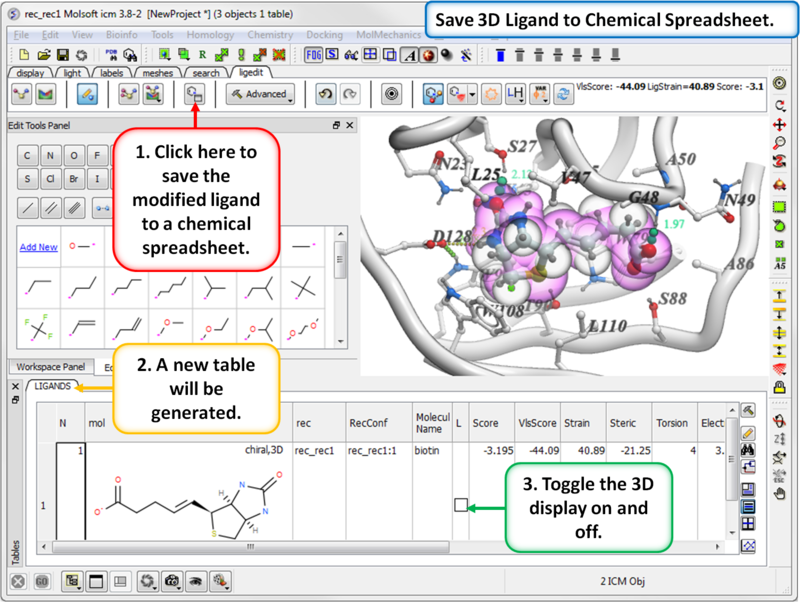 The ICM Ligand Editor is an intuitive graphical interface for ligand optimization and drug design. 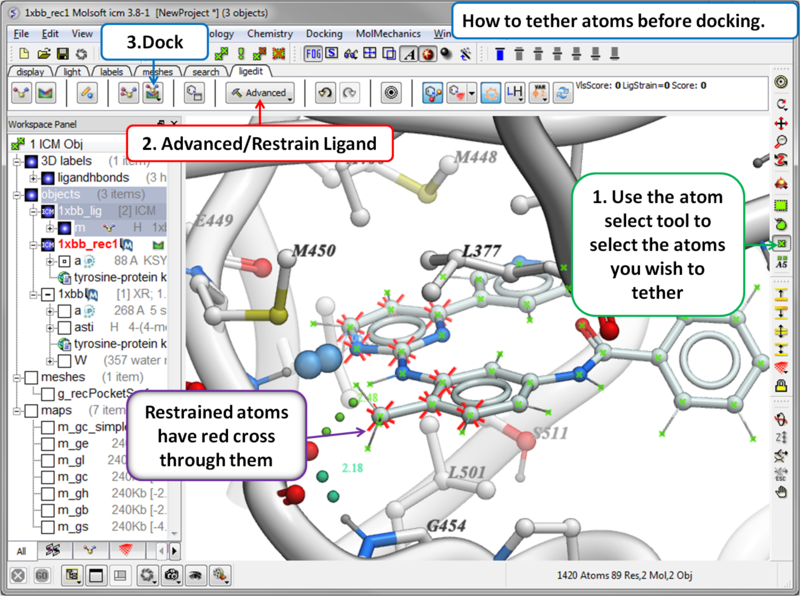 The editor was developed in close collaboration with Medicinal Chemists at Novartis and designed for ease of use and high accuracy ligand modeling. 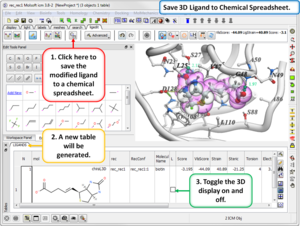 The ligand editor is available in ICM-Pro and ICM-Chemist-Pro. A ligand can be modified in 2D or 3D and the effects of the modification can be seen on the binding energy to the receptor. 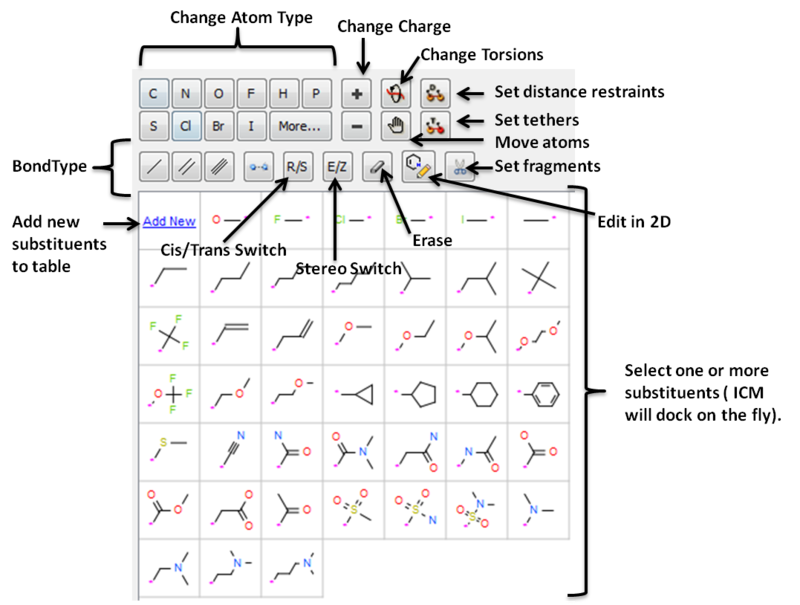 For example a substituent can be changed with a single click on the screen and a calculation of the ligand binding score is made on the fly. 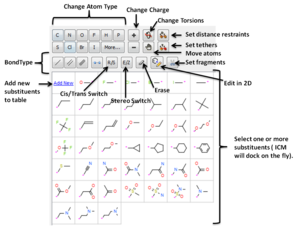 The changes are stored and full undo and redo options are available and if the chemist likes the change he can tag and save the ligand in a chemical spreadsheet. Predictions are powered by MolSoft's high accurate docking ICM docking software. 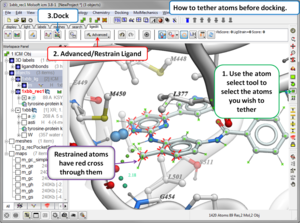 A wide set of tools are available for constrained docking using tethers and distance restraints as well as fragment and covalent docking. There are options for explicit flexible side-chains and multiple receptor docking to account for induced fit. The ligand editor can also be used for 3D pharmacophore ligand design using Atomic Property Fields. Modification history table: Every ligand modification is stored and recorded in a chemical spreadsheet. Double click on the spreadsheet to view the change. Hetero atom scan around ligand: This option allows you to scan groups and hetero atoms at multiple locations on the ligand. R-group scan around ligand: This option allows you to scan groups and hetero atoms at multiple locations on the ligand. One click 2D interaction diagram: This option creates a 2D interaction map between the ligand and receptor. Simple way to analyze ligand-receptor contacts.